The time has come for me to make my own bread. Ok, I used a bread mix but it definitely tasted like home-made bread, not to mention the smell of freshly baked bread that came out of the oven. 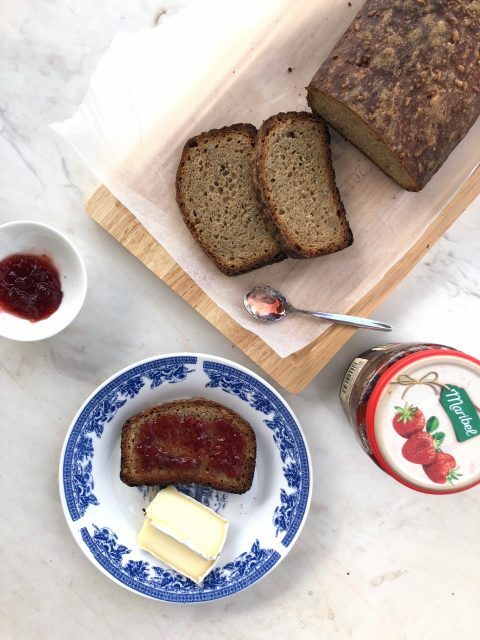 Wholemeal, nutritious, made with natural ingredients and extremely easy to make. Have a look at the number of ingredients and you’ll see what I mean (that’s 2 by the way!). 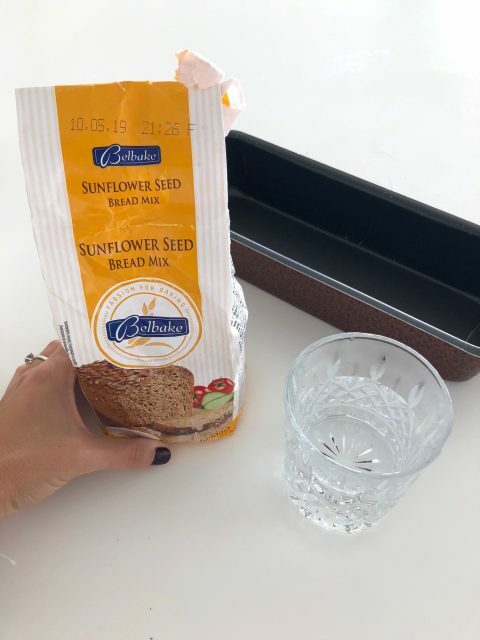 I got the bread mix from Lidl and there are more options available. Feel free to add raisins or nuts. I will keep you posted on more combos! 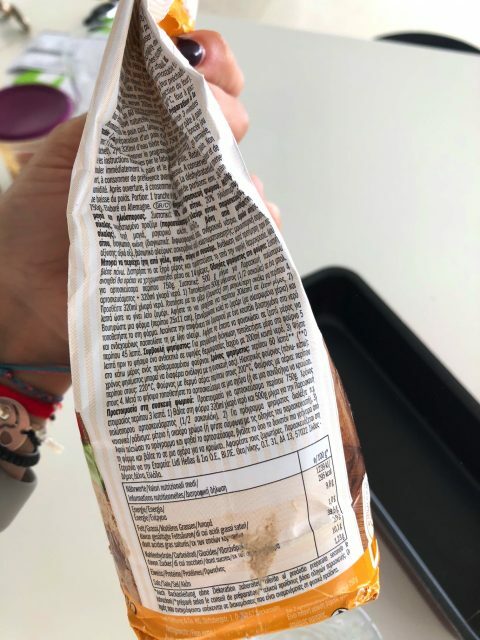 Everything is written on the bread mix bag. Add half the bag (500g) of bread mix in 320ml of warm water. Knead well preferably in a bread machine for 4-5 minutes. Let it rest for 30 minutes. Knead the dough using your hands (with flour) for a few minuts. Butter up a long bread tray and add the mix and place the mix in the tray. Using a wet spoon even up the top. Let it rest for 45-60 minutes. On the bag it said bake at 220 for 60 minutes but the crust in mine was too hard after that time. Check your oven and perhaps let it bake for less. Tip: I thought the dough was too sticky but it didn’t matter at the end.